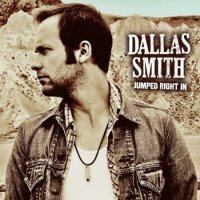 Otherwise known as the lead vocalist for Canadian contemporary rockers Default, Dallas Smith is releasing his debut solo album, and he’s shifting genres and making a foray into Country territory. Not too many Rock artists make a decent transition to Country (think Bon Jovi and ‘Lost Highway’! ), but Dallas has come up with a cracker of an album, and his powerful voice is perfectly suited to the material on offer. Some people can be easily put off by the Country tag, but it shouldn’t be judged too harshly. Sure, Dallas has slipped that hint of a twang in his voice, and there’s a Banjo bubbling away as an undercurrent to the majority of the tracks, but if you strip those elements away then you’re simply left with ten great three-and-a-half-minute Pop/Rock songs. To be honest they’re not a million miles away from the lighter Default output. And rather than use some of Nashville’s resident session musicians like the majority of the Country clientele, Dallas has surrounded himself with a band, which has resulted in a more cohesive sounding record. Mercifully too, there’s no fiddle player amongst them! I really can see this album being a big success with the Country fraternity, and there’s plenty of crossover appeal too. I sincerely hope that it doesn’t mean the end of Default, but if it is then Dallas Smith could easily be accepted amongst the higher echelons of the Nashville elite.